A professional redensifying cream, which treats mature skin through the powerful action of hyaluronic acid and other anti-ageing components. Results visible in just a few sessions. 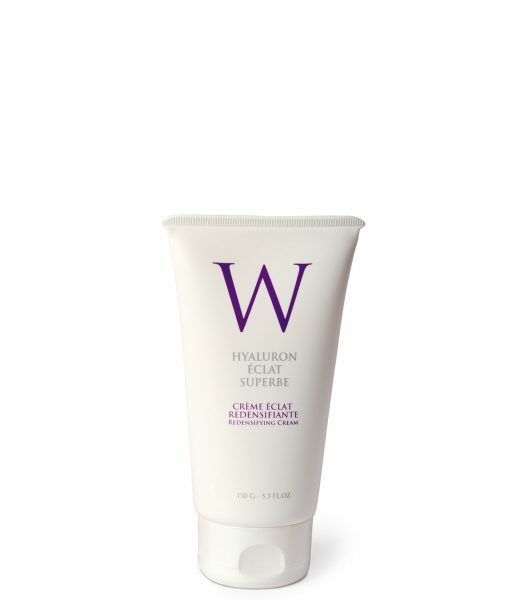 Using state-of-the-art cosmetic technology, WHERTEIMAR combines hyaluronic acid in these three molecular weights in a single treatment cream. Furthermore, it uses other nourishing ingredients to help the epidermis recover its protective and moisturising functions while naturally regenerating its own hyaluronic acid. The increase of hyaluronic acid in the epithelial tissue promotes keratinocyte proliferation and increases the presence of retinoic acid, causing skin hydration. The interaction of hyaluronic acid with collagen and wheat protein drives collagen synthesis, returning long-lost youthfulness and firmness to the skin. It contains hyaluronic acid with low molecular weight (LMW), medium molecular weight (MMW) and high molecular weight (HMW), hydrolysed wheat protein, and collagen.